In 2015, nearly 70% of all Americans used a smartphone on a daily basis and over 10% relied on their smartphones as their only access to the internet. We plan, design and develop mobile websites and mobile apps that will catapult your business to the next level. Our mobile websites and mobile applications feature stunning design and blazing fast load times so that your business is certain to dazzle potential customers who visit your site on their smartphones. We specialize in native iOS, Android and hybrid PhoneGap mobile applications built on the latest APIs, such as Swift 2, Android 6, and Cordova 5.1. Why do I Need Mobile Development? Creating a responsive website that works well both on mobile devices and desktop computers does incur additional costs, but the cost of missed opportunities far outweighs that of the cost of responsive design – especially considering the astronomical growth of smartphone adoption in the past and upcoming years. More often not when a customer visits your mobile website, they are not there to browse your entire site. They are on your mobile website for a specific task such as comparing your price to a competitor’s or looking for your contact information. 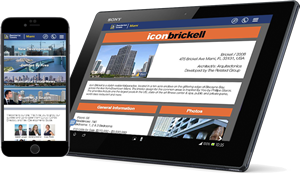 Providing the information they’re looking for with easy to use navigation and a fast loading mobile site is the first step towards landing that new business relationship. Users are looking to your mobile website or application as either an companion feature or main pathway towards making a purchase. If you can efficiently offer your products or services and establish a brand identity via mobile, your potential clients are more likely to make a conversion. Even if most of your actual conversions are not from commerce, your mobile channels can provide a more streamlined and memorable experience for your end users. 70% of users will access a mobile website or application to find out more information before a purchase, and nearly 50% of them will do that while they are actually inside your store shopping. An inconvenient mobile experience leaves the door open for your competitors, which could lead to you losing potential customers who are already browsing your products in one of your stores. Users who are looking to make a purchase expect mobile pages to load in less than 3 seconds. However, 85% of full-site mobile pages take 4.8 seconds or longer. By making your brand more than just a nice looking mobile site, but also one that loads quickly on all pages, your users will remember and utilize your mobile site often, which will increase your overall sales. If you are interested in learning more about our mobile development services, you may contact us through our contact form or you may also request a quote. If you would like to speak to a human being like yourself, you may call us at +63 44 769 1172 or Skype us at dcgws_internet_solutions. One of our mobile development experts are standing by to answer all of your questions.